Black Metal is a genre where bands are able to shine in various points and their repertoire is not limited to generic songs and or a stereotypical facade. There is wiggle room and bands can come into their own. 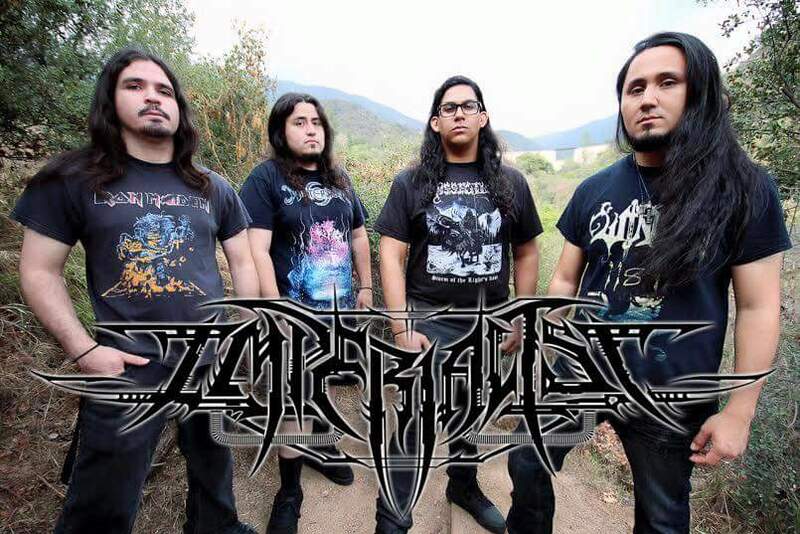 Imperialist from Monrovia California are a prime example of this very thing, they play their own brew of Melodic Black Metal with hints of Death Metal creating their own unique sound. There is no shortage of what one could expect with said genre but they deliver a powerhouse of sound. From the furious guitar work to the hammering of drums Imperialist will leave the listener shaking in their boots. With one album under their belt entitled Quantum Annexation they have paved their path to deliver Melodic Black Metal spawned from the deep recesses of the beyond. They recently played a show in LA at The 5 Star in support of One Master and Imperialist delivered. Their stage presence is strong and furious, giving off plenty of tasty riffs to headbang to and you can feel the dedication and aggression. Guitar wise the melodic aspect is prominent immediately while at the same time they stand out to be different. It is definitely refreshing to see this with bands who strive to not be your run of the mill metal act. Imperialist is currently working on a new album and I feel that this is going to be a stepping stone into new realms. This is the talent of the underground metal scene, and I am happy to be a part of it and Imperialist are sure to impress and bring themselves to the forefront.